There are times when preference over one state is necessary, even if for a short while. 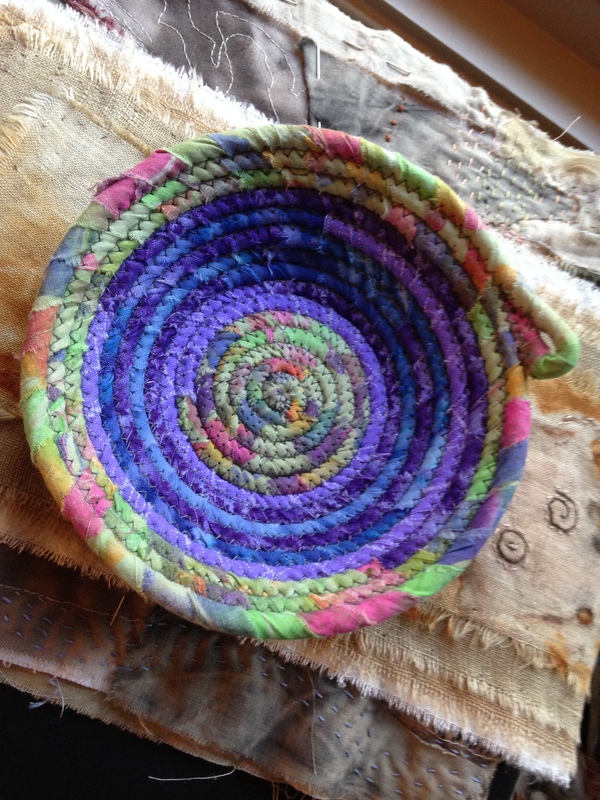 In general terms, I am always going to be drawn to green baskets over purple or blue. In life terms while I understand that balance comes from acknowledging and accepting opposites, at times, when sorrow and worry enter,my inclination is to prefer the opposite. I say this as I reside in a limbo space, waiting for news of my sister’s passing yet not wanting to acknowledge this news. Yet I know instinctively and realistically that wishful thinking does not control or alter what will be. New Mexico or Detroit. Both would welcome me. i like that. the idea that preferring is a delusion. there is more here that i want to process. and i thank you, grace and marti, for showing up. ah well you never know what’s around the corner… I would have preferred for the sun to stay out yesterday and not have the hail block the gutters to make a new internal waterfall where one has never shown up before right over our bed, we had to crash on the floor in the lounge room with the electric heater on all night drying out the bedding but that’s what happened and we did it and it’s 3 am on a brand new day, thank goodness for sunset and sunrise! ah. i learn from you.